Delphi. Is this the year? Here's hoping so. It's been a long wait. Re: Delphi. Is this the year? Anything involving the Delphi would be amazing to see. The figure and story possibilities are nearly limitless - An virtually unexplored race, new units, new build parts, potential story characters. Not to mention the lore that could be added to the existing Universe. The war between the Delphi and the Voss, the discovery of Black Core technology, this is all prime territory for future expansion. Supposedly Matt's working on an extra set for the Villser mold that would make it into another character, the suspicion is that it'll be the Delphi. Hopefully that project is ready to go soon. TJOmega wrote: Supposedly Matt's working on an extra set for the Villser mold that would make it into another character, the suspicion is that it'll be the Delphi. Hopefully that project is ready to go soon. Hopefully soon. I think people are tired of waiting. I would be ecstatic about such a development! But, we were told the Delphi was coming way back in 2012 and the swing joints were supposed to be part of the equation. We did get the swing joints in 2013, but never any more talk or development in regards to the Delphi. Trust me, I'm hoping like heck that the Villser extra set will bring us our first sniff of production Delphi, but I'm not holding my breath. I'm not crazy over the Villser mold. The anatomy is just off in my opinion. I don't like it how the calves are a lot bigger than the thighs. Also the elbows just seem really wierd to me. andiufc wrote: I'm not crazy over the Villser mold. The anatomy is just off in my opinion. I don't like it how the calves are a lot bigger than the thighs. Also the elbows just seem really wierd to me. As for the Elbows I know what you mean there, I wish they'd have been two parts instead of one, like I thought initially, however that's what the axis joints are good for. Truth Kranix, the double build that Matt showed off with the Xycoss Villser was pretty fun to put togther. Also mixing a Villser with 2x Axis Joints and the left over parts from the Argenesis pack, I ended up with a pretty sweet Insect like build, I'll try and post up pics later tonight. I know I haven't been waiting as long as many of you on this board, but I pray to Santa-Jesus-God every night that the Delphi will return. A Delphi and Armored Delphi head is all I ask, then I can die happy. Talyn wrote: A Delphi and Armored Delphi head is all I ask, then I can die happy. 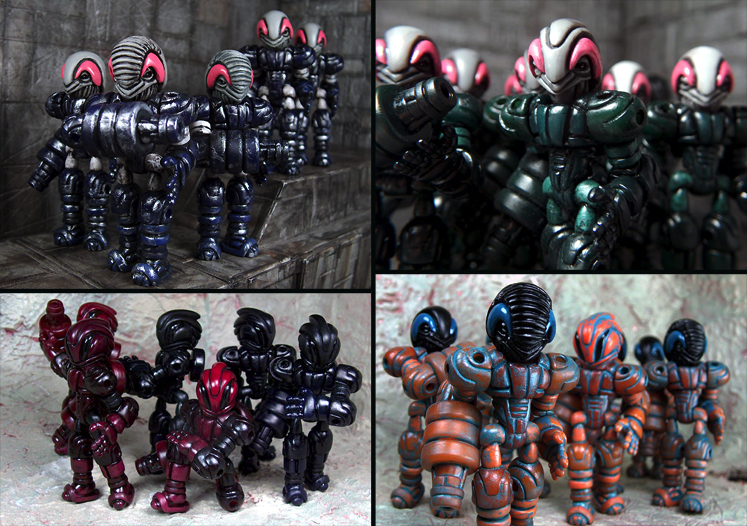 Agreed, I'm a noob to Glyos, so the only chance Ive had of getting a Delphi head was on ebay, for $$$. 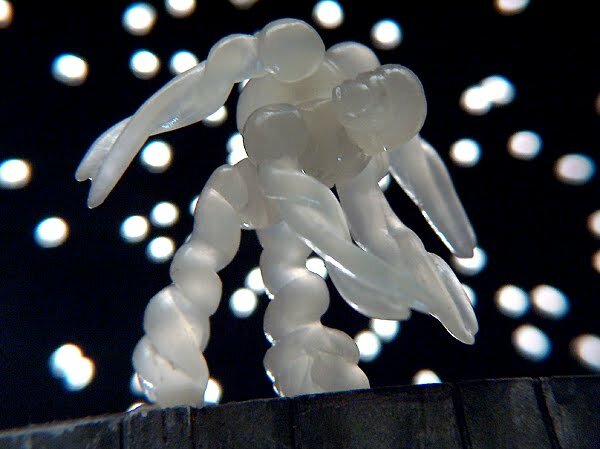 A brand new sculpt would be cool but honestly, I like the idea of just building one from Phase arms/Buildman and traveler parts, and adding the head like a cherry on top! If Matt is truly working on a new Extra set, it would be awesome if it were a set of all four Delphi heads w/ a new torso. Lazzy Lizard wrote: If Matt is truly working on a new Extra set, it would be awesome if it were a set of all four Delphi heads w/ a new torso. On second thought, perhaps we aren't thinking linear enough on this. With the coming of the Villser we need to look back to whom created them...it wasn't the Delphi, it was...THE VOSS. I hope we get both! Could be a Voss upgrade, with the bonus Delphi head on the same sprue...that would be truly scrumptious!!! I actually dipped out of Glyos because I got tired of waiting for the Delphi. I’m still loyal to the OSM but that’s it. Speaking of, I’m about to sell my collection of Glyos if anyone is interested. HUNDREDS of figures about to go for sale. Mindless-Focus wrote: I actually dipped out of Glyos because I got tired of waiting for the Delphi. I’m still loyal to the OSM but that’s it. Absolutely interested! Still a few older Sarvos and a few other holes to fill in my collection. likewise, interested, I'll PM you! So, here's another question: what do y'all think the general aesthetic of the Delphi would be if it was released as a new sculpt? Would we see something that closely mirrors the old Custom Corps run, or would there be a new look? kranix wrote: So, here's another question: what do y'all think the general aesthetic of the Delphi would be if it was released as a new sculpt? Would we see something that closely mirrors the old Custom Corps run, or would there be a new look? I think the head design would stay relatively the same - considering that there are many references to the Delphi sculpt now (helmeted and not). However, if it were to utilize parts from the current Villser, plus some kind of an armor add-on set, I doubt it would be similar to what we've seen before. I've always thought that the old Custom Corps Delphi mirrored the look of Samus too much. Even their backstory, as one of these ancient, 'forerunner' races who started everything, is pretty similar to that of the Chozo from the Metroid franchise. 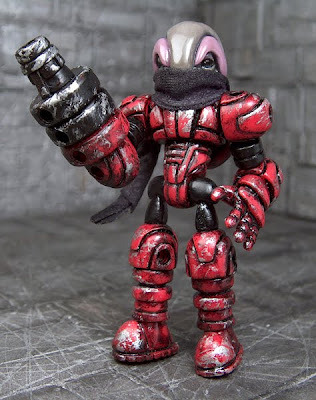 Glyos certainly likes to homage other series, but for a significant release like the Delphi - I would like to see something much more original personally. Ancient, powerful races influencing things isn't new to fiction, certainly not originating from Metroid. Now a super-intelligent bird race capable of crafting super-powerful combat armor? Yeah, the Varteryx are a little on the Chozo nose. I think the head design would stay relatively the same - considering that there are many references to the Delphi sculpt now (helmeted and not). However, if it were to utilize parts from the current Villser, plus some kind of an armor add-on set, I doubt it would be similar to what we've seen before...but for a significant release like the Delphi - I would like to see something much more original personally. Honestly I'm partial to the Aesthetic of the Delphi being a mixture of the Buildman/Sarvos/Phase Arm/Callgrim parts. I would be happy with a more traditional release like that. My favorite head of all three has to be the "ribbed" version, that aesthetic has always reminded me of a whales throat pleats. However if we do indeed see the Delphi this year I'm still not convinced it would be as an add on extra set to augment the Villser base figure. I feel like the chunky build of the Villser doesn't fit with the Traveler design. I'm becoming more convinced that we will see a bigger bad like the Voss (previously mentioned above) and perhaps would get a Delphi head as a bonus, like the way the Glyarmor gave us the Neo Sarvos and Varteryx heads. Wonder if the tentacle arms in this build would be part of the extra set? That's the last time I've seen him mention the Delphi that I can think of, however it's a bit of a long shot to think that this is any indication that the Delphi would be reappearing. Could this mean we may see an update to the Armorvor/Neo Granthan mold, a new head, perhaps additional parts to beef them up even more so?